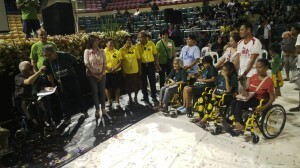 To strengthen public support for a barrier-free society for persons with disabilities, a Freedom Walk of Persons with Disabilities was held at the Cuneta Astrodome in Pasay City recently under the joint auspices of the Alyansa ng Mga Maykapansanang Pinoy (AKAP-Pinoy) and the City Government of Pasay with the latter as the host this year. The celebration adopts the theme “Every Step We Take, Barriers We Break,” which calls for elimination of unnecessary obstacles in attaining the goals of a barrier-free society for persons with disabilities. 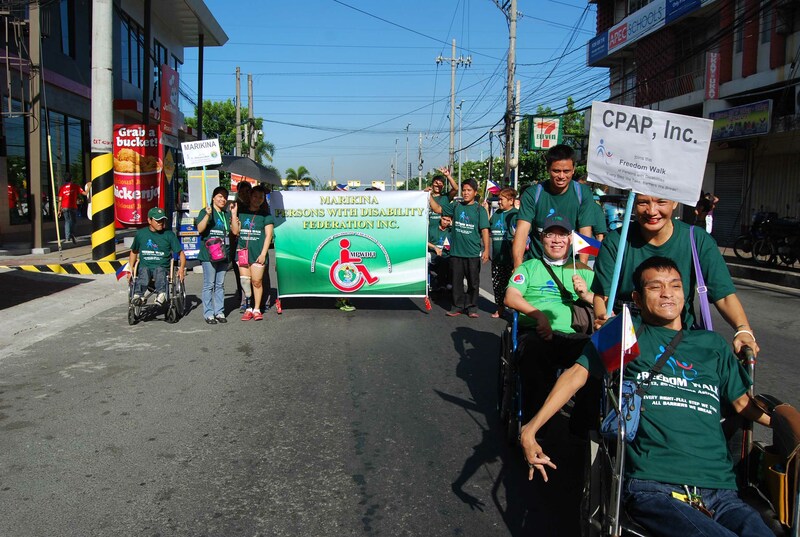 Some 1,500 participants joined the walk composed of persons with disabilities, representatives from the national government agencies (NGAs) and local government units (LGUs) of the National Capital Region, leaders and members of the disabled people’s organizations groups, civil society groups and the private sector. The parade around the vicinity of the Cuneta Astrodome was followed by a program with Mayor Calixto, Congresswoman Emi Calixto-Rubiano of Pasay City and Deputy Executive Director Mateo A. Lee, Jr. of the National Council on Disability Affairs (NCDA), delivering inspirational messages. Director Lee expressed his appreciation to various government agencies and LGUs for providing programs and livelihood opportunities for PWDs. In particular, he thanked the Department of Social Welfare and Development (DSWD) for including families with PWDs as beneficiaries of their poverty alleviation programs, such as the Conditional Cash Transfer Program (CCT) and Sustainable Livelihood Program (SLP). He also acknowledged the efforts of some business establishments like SM Supermalls in ensuring their mall facilities to be PWD-friendly. “Let us hope that more establishments, both government and private as well, will abide to the Accessibility Law known as Batas Pambansa Bilang 344 and will take into consideration the creation of a PWD-friendly environment which is of international standards,” he said. The Batas Pambansa Blg.344 requires that certain buildings, institutions, establishments and public utilities to install facilities and other devices to enhance the mobility of PWDs. 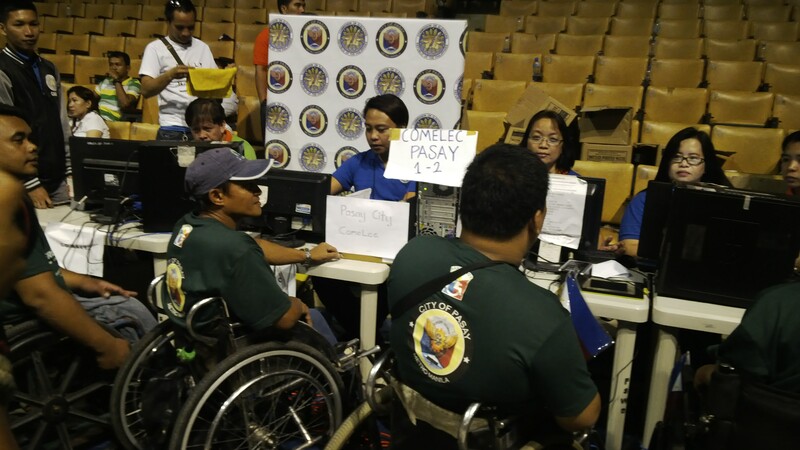 PWD-residents of Pasay City avail of the voter’s validation of the COMELEC during the Freedom Walk. May I cordially inquire for the next PWD Walk schedule for next year as I would love to be on it also, being a PWD myself. This site is of great benefit to me and others. I have learned so much here. am glad to know that the Philippine government is, and has been making relevant efforts geared towards our welfare, benefits and due rights. God bless you.